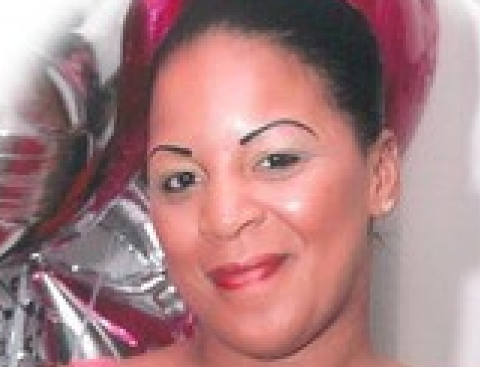 Lyntell Washington was seven months pregnant when she disappeared on June 9, 2016. Her 3-year-old daughter told Baton Rouge police that she was "in the lake." “Mom’s in the lake,” the little girl told police, according to a police report obtained by WAFB TV in Baton Rouge, Louisiana. Lyntell Washington, 40, had been missing since June 9 and of all people, her toddler's testimony riveted police. “Mr. Robbie’ hurt her mother and was now sleeping,” investigators said the 3-year-old, who was found by her lonesome near her mother's car in a parking lot, told them. Washington was a star educator at the Brookstown Magnet Honors Academy, a middle school. She even garnered "Teacher of the Year" accolades. "Mr. Robbie" aka Robert Marks, 39, was an assistant principal at Brookstown. Now he is in jail. Evidently he and Washington were carrying on an affair and she was carrying the married man's child, according to news reports. According to Nancy Grace, an affidavit details explicit text messages between Washington and Marks in which she asks if he is trying to avoid his responsibilities pertaining to their "unborn child." Did she threaten to expose their relationship to his wife? Why was Marks driving Washington's little girl around town and where was he taking her? These questions continue to pierce the minds of those shocked by the case. But now Washington is dead, killed by Marks, who left Washington's blood marks in her car, according police. Speaking to HLN's Nancy Grace, Marks' wife Kala stood by her husband, saying that she never knew of any mistress and that she can't fathom that the man she loves is a cold-blooded killer. Marks was already in jail on an aggravated kidnapping charges related to Washington's 3-year-old. Now he is there for first-degree murder and feticide. As cold as the slaying is, police say Marks' response to police while in custody has been equally void. "The only two words I can come up with is heinous and senseless," McKneely said. "Anybody that can commit that type of crime to a female that is pregnant with your child is something that I can't describe. It's something that you don't have word for."